This entry was posted in art, travel, Wordpress Daily Prompt, Wordpress Weekly Photo Challenge and tagged art in NY, daily prompt, weekly photo challenge. Bookmark the permalink. 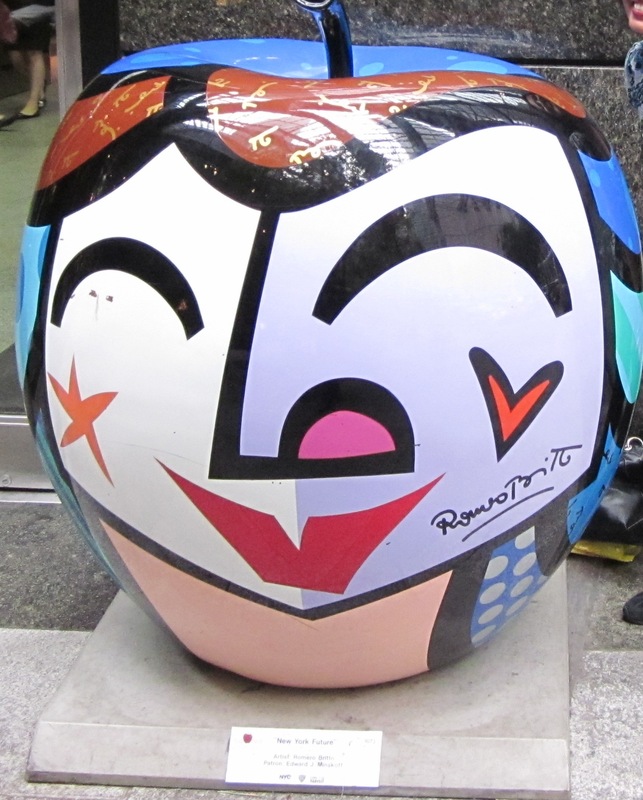 Romero Britto can turn even an apple, into a whimsical masterpiece. I love his work. Nice pictures. Britto has the vision and talent! 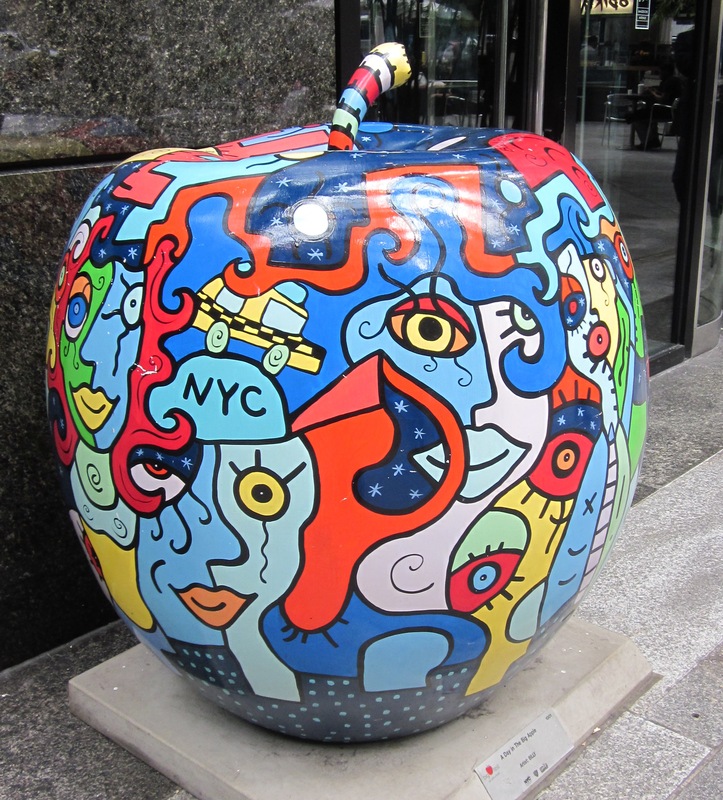 You would have loved these apples even more had you seen me on them:) Have a great week, KB! It kind of reminds me of the hippie era and Sargent Pepper’s Lonely Hearts Club Band. All the vivid colors! Thanks for stopping by, Glynis. Aren’t they pompous and silly! Street art is for enjoyment and draping yourself over. Someone got it wrong in NYC! 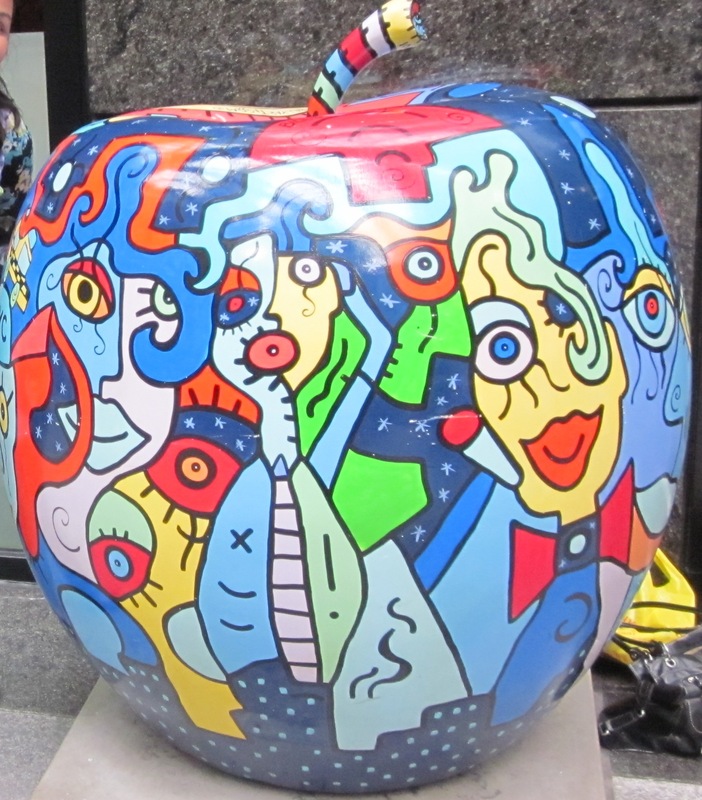 Pompous and silly – I love it:) If I ever go back to that area, I’ll try draping myself again on one of those apples. These are great photos (and certainly vivid) Elaine. Security guards are way too serious. How is the writing coming along?